Private lender HDFC Bank Saturday reported a 20.3 per cent growth in net profit to Rs 5,585.9 crore for the third quarter ended December 31, mainly on higher net interest income. The bank had posted a net profit of Rs 4,642.6 crore in the October-December quarter of the last fiscal. 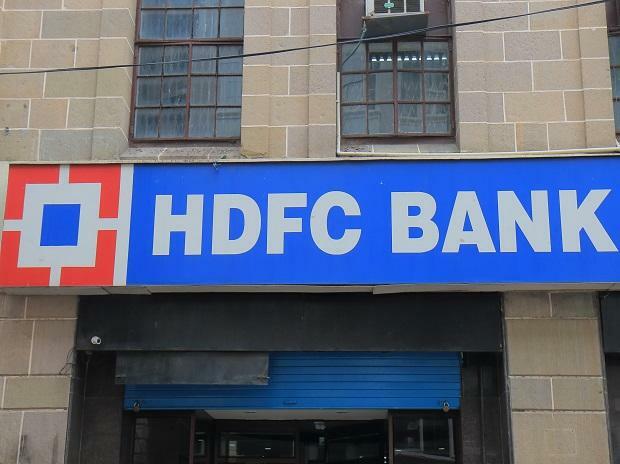 Total income rose to Rs 30,811.27 crore during the December quarter from Rs 24,450.44 crore in the year-ago period, HDFC Bank said in a statement. "Net interest income (interest earned less interest expended) for the quarter ended December 31, 2018 grew by 21.9 per cent to Rs 12,576.8 crore, from Rs 10,314.3 crore for the quarter ended December 31, 2017, driven by asset growth of 23.7 per cent and a core net interest margin for the quarter of 4.3 per cent," it said. During the quarter, gross non-performing assets (NPAs) rose to 1.38 per cent of the total advances, compared with 1.29 per cent at the end of the third quarter of 2017-18. Net NPAs of the bank declined to 0.42 per cent of the assets in October-December 2018, against 0.44 per cent a year ago. However, the bank's provisions (other than tax) and contingencies increased significantly to Rs 2,211,53 crore as against Rs 1,351.44 crore reported in the corresponding period previous fiscal. Giving break up of the provisions and contingencies, the bank said, it consist of specific loan loss of Rs 1,734.6 crore and general provisions and other provisions Rs 476.9 crore. Provisions for the quarter ended December 31, 2018 include a charge of Rs 322.4 crore towards contingent provisions, it said. Other incomes of the bank increased to Rs 4,921.01 crore as against Rs 3,869.17 crore in the same quarter last fiscal. For the nine month ended December 2018, the net profit rose by 19.7 per cent to Rs 15,193.0 crore as against Rs 12,687.47 crore in the year-ago period. The bank earned a total income of Rs 85,393.5 crore as against Rs 69,912.0 crore in the corresponding period of the previous year. It said total balance sheet size as of December 31, 2018 was Rs 11,68,556 crore as against Rs 9,49,079 crore as of December 31, 2017. Total deposits rose by 22 per cent to 8,52,502 crore, while total advances grew by 24 per cent Rs 7,80,951 crore. The lender's total Capital Adequacy Ratio (CAR) as per Basel III guidelines was at 17.3 per cent as on December 31, 2018 (15.5 per cent as on December 31, 2017) as against a regulatory requirement of 11.025 per cent, which includes Capital Conservation Buffer of 1.875 per cent, and an additional requirement of 0.15 per cent on account of the bank being identified as a Domestic Systemically Important Bank (D-SIB).